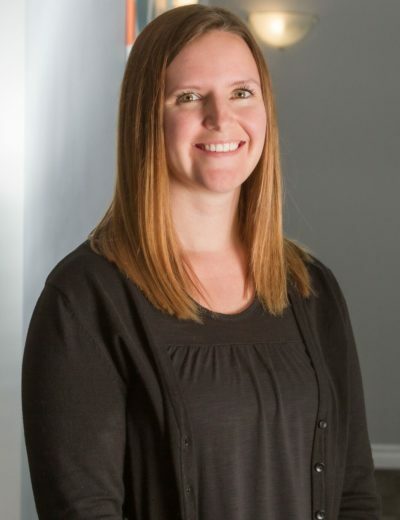 Emma is a Licensed Counselling Therapist with the College of Counselling Therapists of New Brunswick (CCTNB) and Certified Canadian Counsellor with the Canadian Counselling and Psychotherapy Association. She graduated with a Bachelor of Arts Degree in Psychology and Sociology. From there, she continued her education by obtaining a Masters of Education in Counselling Psychology from the University of New Brunswick. Emma began her career within a trauma informed environment where she gained an enriched perspective on trauma and mental health in general. She has experience working with a variety of mental health concerns, such as anxiety, depression, grief/loss, stress, trauma, PTSD, personal growth/exploration, OCD, attachment concerns and anger. Emma uses a psychodynamic, client focused approach incorporating a biopsychosocial understanding of emotional dysregulation, solution focused therapy and CBT. She is a firm believer in maximizing individual potential and positive psychology. She incorporates neurofeedback and biofeedback therapy, when appropriate, to help individuals be the most optimal versions of themselves.